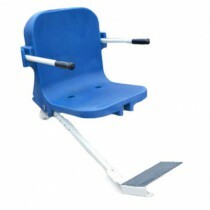 Swimming Pool Lifts for Disabled are used to help mobility patients enter or exit a swimming pool or spa. 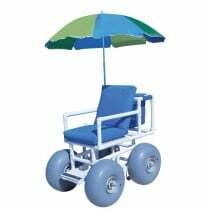 There are many hazards associated with safely placing or retrieving handicapped individuals in a pool. Specially designed pool lifts can eliminate or reduce these hazards. 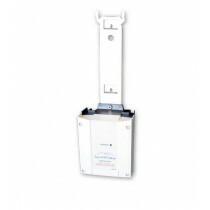 There are several considerations when selecting the best pool lift. Electric or manual operation, the weight capacity of the lift, anchored or portable, and placement of the lift in relation to the pool are key considerations. The best selections include ADA pool lifts that comply with the Americans with Disabilities Act (ADA), to meet safety and access standards. 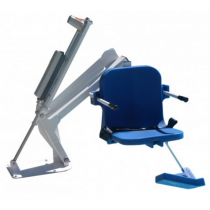 Most pool lifts come with a chair that the patient sits upon while lowered into the swimming pool. When the patient is finished, they can be raised on the chair and out of the pool. 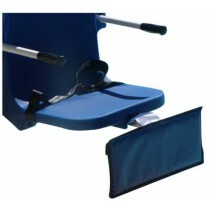 Manual portable pool lifts come with a lever that is cranked by a caregiver to lower or raise the patient to or from the pool. 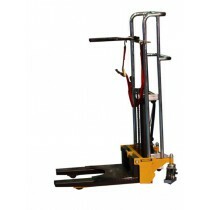 These lifts use hydraulics to do the heavy work, but cranking the lever is still required for it to function. This option is usually the least expensive. 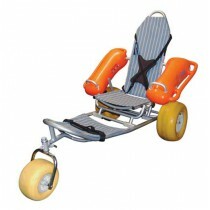 Electric or battery powered disabled pool hoists offer greater flexibility for mobility patients. 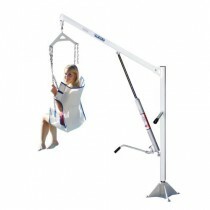 Many of these hoists offer a remote that can be controlled by the patient themselves to allow for self-ingress and regress. A control box is also located on the lift to allow caregivers to also operate the controls. Many find that electric lifts are much easier to operate and use; however, they do require more maintenance and cost more to purchase. 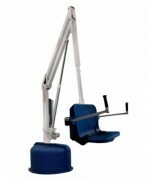 The weight capacity of the lift should exceed the weight of the patients that will be using it. 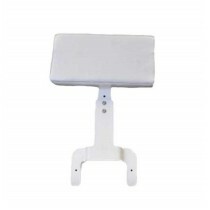 In order to be ADA compliant, the minimum lifting capacity is 300 pounds. Most of these devices can lift from 300 to 500 pounds. 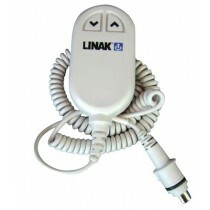 These pool hoists have a base secured in concrete or bolted to a deck. This type is considered a permanent fixture and offers the safest option. 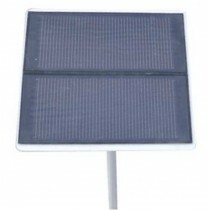 Most often these are anchored in concrete and stays in place once it is installed. 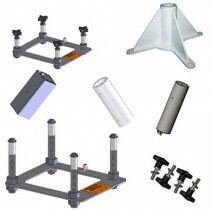 To some, this type of system may be cumbersome because it is always fixed on one position and often in the way. A portable pool lifts for disabled individuals comes in a few varieties but center on two different types. The first type uses a counter-balance weight system. Usually the counter weights are made up of sand or iron blocks. These weights counter the weight of the patient. This type does not require any modifications to the pool deck surface. 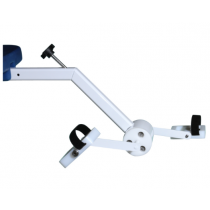 Most portable patient hoists are mounted on wheels, allowing caregivers to roll them adjacent to the pool and then out of the way when not in use. The second type is anchored to the pool deck and is removed and stored when not in use. Usually they are bolted on and off to an anchor bracket. Placing a pool hoist for disabled in the right position is extremely important for safety and to meet ADA requirements. Basically, the device should be at the edge of the pool to allow for a minimum submerged depth of 18 inches below the water line and located where the pool depth does not exceed 48 inches. 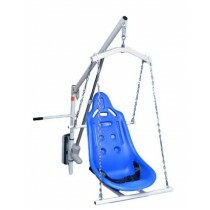 In summary, hoists help mobility patients with safe ingress and egress into swimming pools and spas. There are many hazards associated with safely placing handicapped individuals into a pool. Specially designed lifts can eliminate or reduce these hazards. 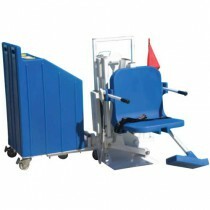 The best selections include lifts that are ADA compliant. Lifts designed for spas are slightly different than for pools to accommodate the higher curbing that often surrounds a spa. 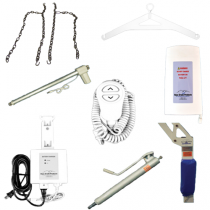 These types of aquatic hoists are referred to as Spa Lifts. 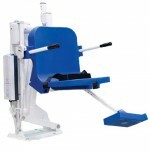 Most pool lifts come with a chair that the mobility patient sits upon while lowered into the swimming pool. When the patient is finished swimming, they can be raised out of the pool and onto the chair. 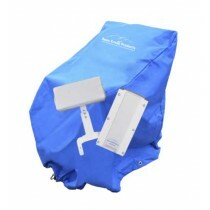 Vitality Medical carries pool lifts manufactured by Aqua Creek Products. 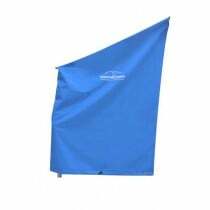 Aqua Creek also carries pool lift anchors and pool access chairs.